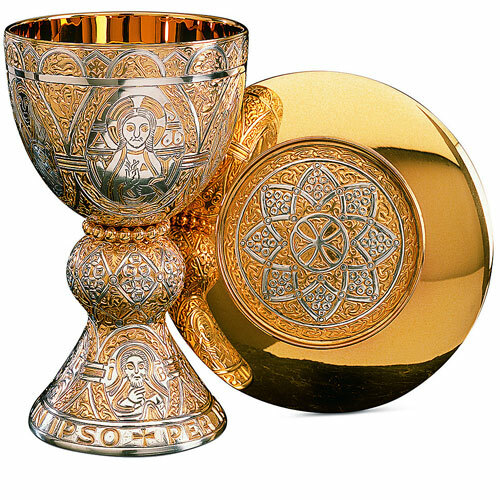 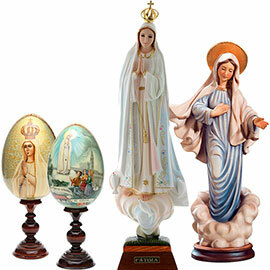 STOCK Pope Francis' Jubilee Chasuble with English writing. 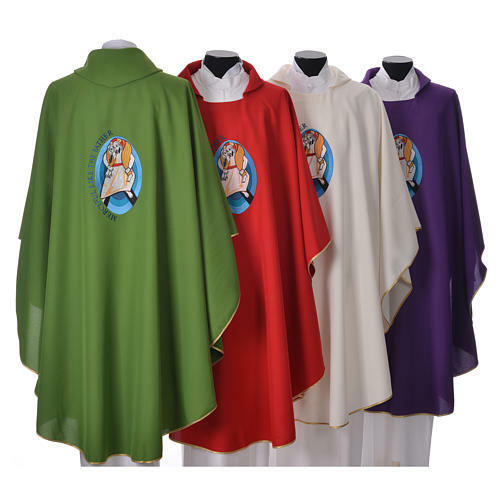 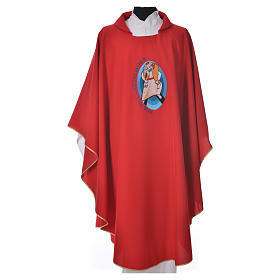 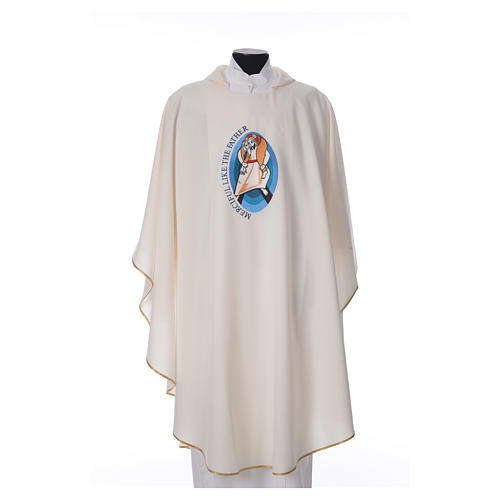 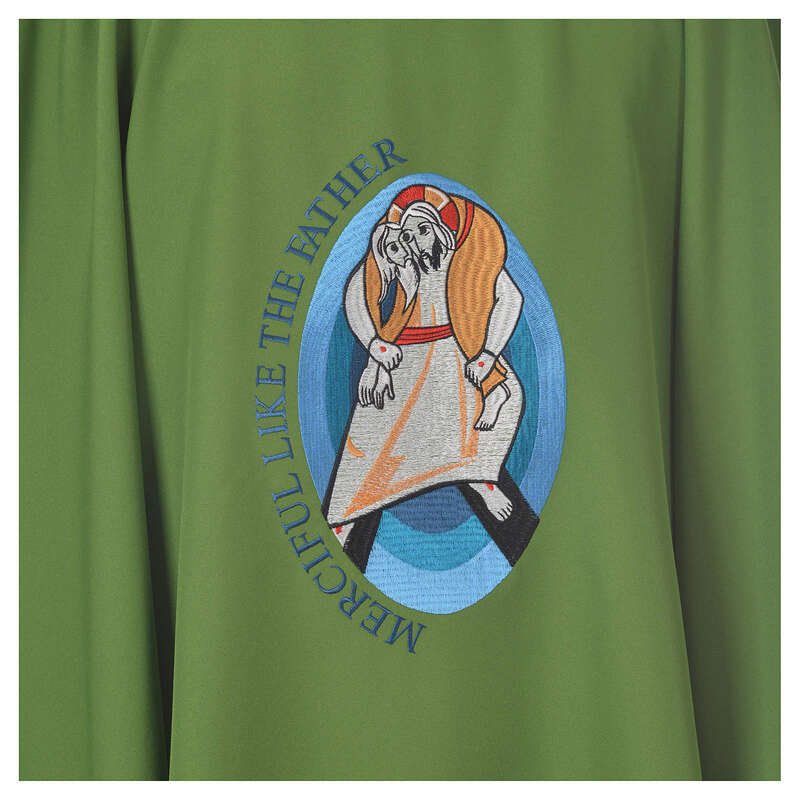 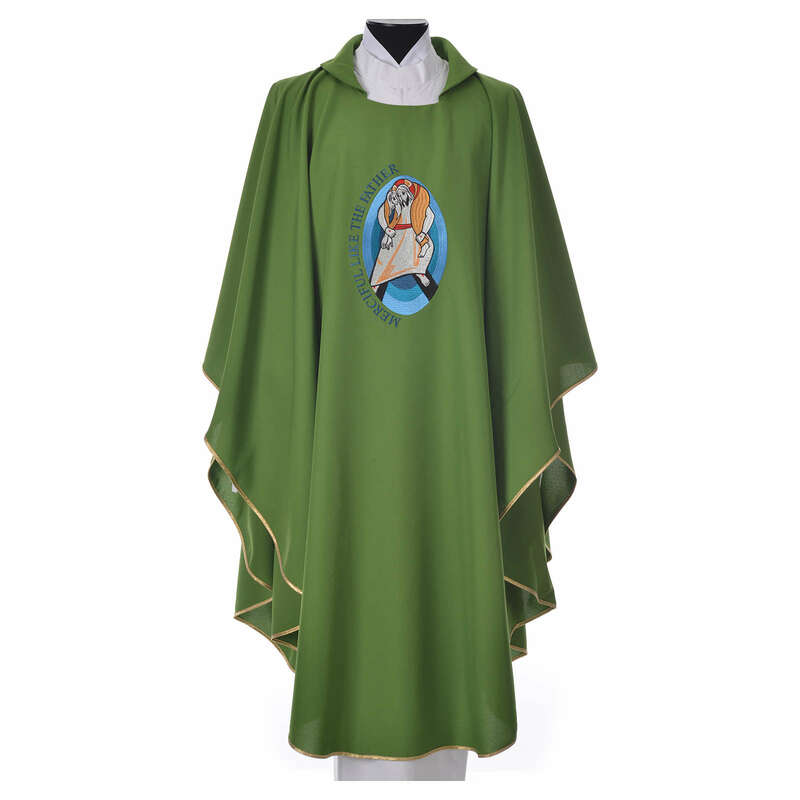 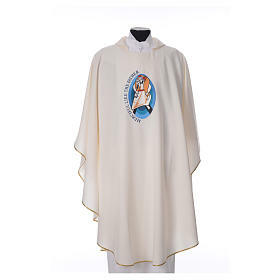 Liturgical Chasuble in Polyester, with original Logo of Pope Francis' Jubilee machine embroidered. 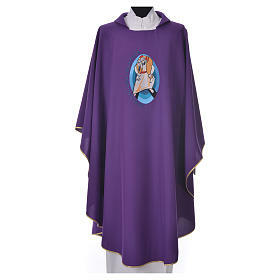 Upon request, it is possible to order this chasuble with the writing in other languages.